Yeezy is listed as a composer, producer, and lyricist on the song. 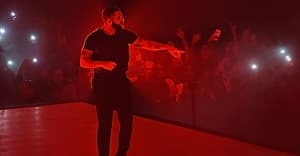 Now, some sharp eyes have spotted a Kanye credit on "Two Birds, One Stone," one of four tracks Drake dropped last Saturday in honor of his 30th birthday. 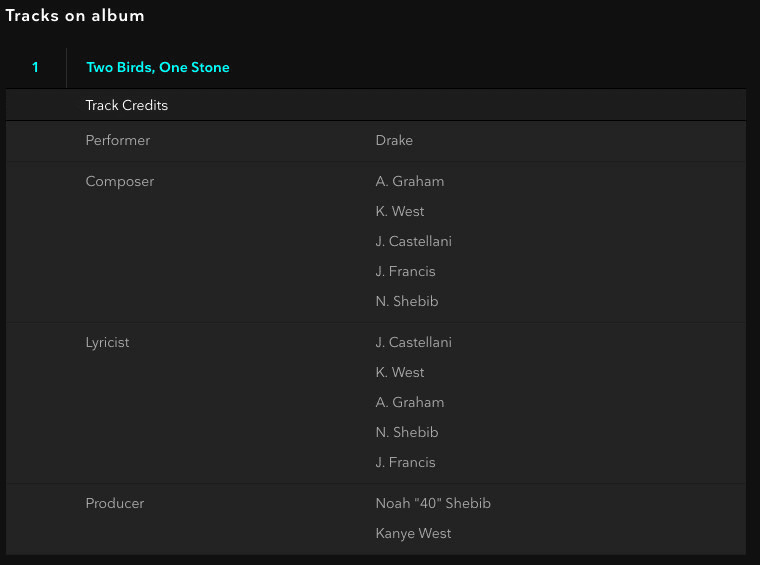 The credit, which appears on TIDAL, lists Kanye as a composer, lyricist, and producer. As some have pointed out, this is the same track that contains a diss aimed at rapper Kid Cudi, who's currently in rehab to treat an ongoing struggle with depression. But with Kanye very recently dedicating a song to his long-time collaborator on the Saint Pablo Tour, we wouldn't read too much into the connection. Check out the credit below.